The Memorial Rifle Squad in its 40 years of service for our veterans, is proud that they have never missed a funeral. With wind chill temperatures at -36 below zero, WCCO reports on the Rifle Squad dedication to our nation’s veterans. This is a link to the story as reported by CBS National news. Twin Cities WCCO photojournalist Tom Aviles won a National Emmy for this 2004 video of volunteer services of The Memorial Rifle Squad of Fort Snelling National Cemetery. Tom’s numerous hours at Fort Snelling, and video has resulted in an outstanding story depicting the dedication of the Memorial Rifle Squad volunteers. In May of 2016 photojournalist, Tom Avilies from WCCO Channel 4 returns to the Twin Cities National Cemetery for a followup story on the Memorial Rifle Squad of Fort Snelling. This is an update to his 2004 video for the focusing on the aging Rifle Squad veterans from World War II and the Korean War. The video details the transition of the honor guard duties from the WWII generation to younger Vietnam Era vets. 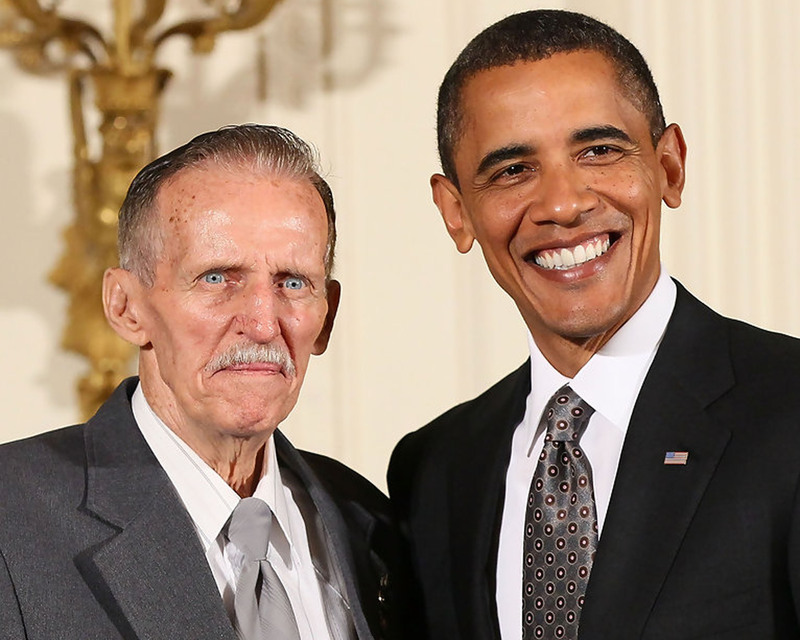 On April 16, 2012, George Weiss, Jr., the founder of the Memorial Rifle Squad at Fort Snelling National Cemetery, received the Citizens Medal from President Obama for his extraordinary service to our nation’s veterans and their families. 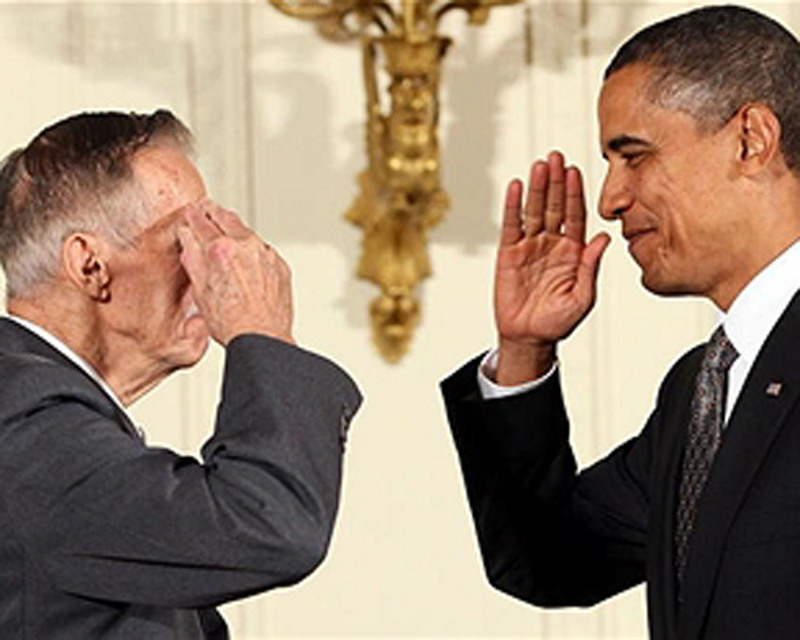 George served at the closing days of World War II and is a very proud member of the US Marine Corps.